COLUMBIA, S.C. -- A South Carolina father who authorities said killed his five children believed the kids "were going to kill him, chop him up and feed him to the dogs," according to an unredacted arrest warrant released Wednesday. Authorities said Timothy Ray Jones Jr. killed his children at his Lexington home, put the bodies in plastic trash bags and drove for nine days around the Southeast. The warrant said authorities found blood in his vehicle and handwritten notes about killing and mutilating bodies after he was stopped at a DUI checkpoint in Mississippi on Sept. 6. The warrant was originally released last week, but Lexington County deputies blacked out some sentences. CBS Columbia affiliate WLTX-TV obtained an unaltered copy. Jones ordered his children, ages 1 to 8, out of his vehicle at a Lexington Walmart on Aug. 28 because he "believed the children were going to kill him, chop him up and feed him to the dogs," according to the warrant. Authorities have said Jones picked up his children from school and daycare that day, the last time they were seen alive. Deputies think Jones took his children to their Lexington home and killed them a short time later. 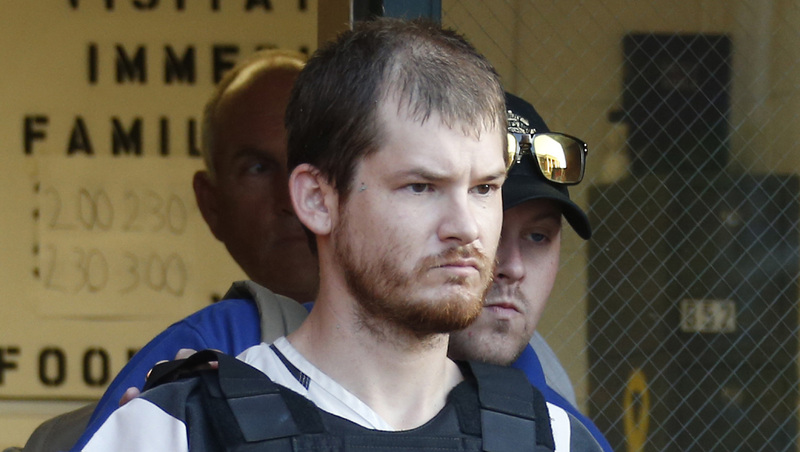 He dumped the bodies on a remote hillside near Camden, Alabama, authorities said. Several hours later, an agitated and intoxicated Jones was stopped at a Smith County, Mississippi, checkpoint, authorities said. They have not said how the children were killed. Jones' statements came from a warrant charging him with unlawful neglect of a child. He also faces five counts of murder. A message left for Jones' lawyer was not returned Wednesday. Jones waived a first appearance hearing last week, and his attorneys said he has been treated for mental illness in the past and they want a mental evaluation conducted on him as soon as possible. Daniel Jones, the district attorney of Smith County, Mississippi, told NBC News last week that Jones Jr. said his children were plotting to kill him and that notes referring to violence against the children were found. "I think he probably just went mad," said the prosecutor, who is not related to Jones Jr.